Thank you for your interest in wanting to use the GreenSeam name and mark. Together we are the seam. Our primary color, name and mark are here for your use. If you are in need of other options or file formats, please contact Bridget Norland with your request, or call 507.385.6672. We are happy to help! Download the .zip file for hi-res versions in .jpg and .eps formats of any mark below. 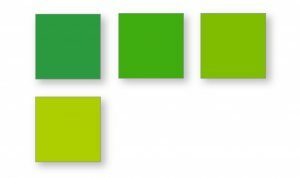 Below is the Full Palette of GreenSeam colors to use with the mark. Pantone 376 C is the primary color to use in larger, solid areas of color. 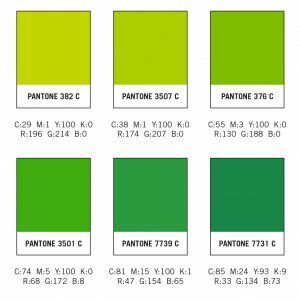 Below is the Primary Palette of GreenSeam colors to use with the mark. 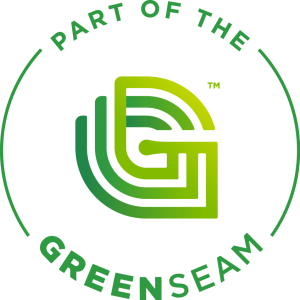 Want your website viewers to know your business is Part of GreenSeam? Click here! Brand design created by Capsule.